What this means is that when you search for butter in the stores, you’ll be seeing high-end butters with a variety of looks and flavors. It is no longer unusual to see organic roasted garlic and herb butter, alongside organic cocoa coconut butter, as well as other premium flavors such as black truffle, caramel sea salt, chili lime, honey pecan, lemon pepper, maple syrup, porcini sage, roasted garlic herb, and sea salt and black pepper butter. 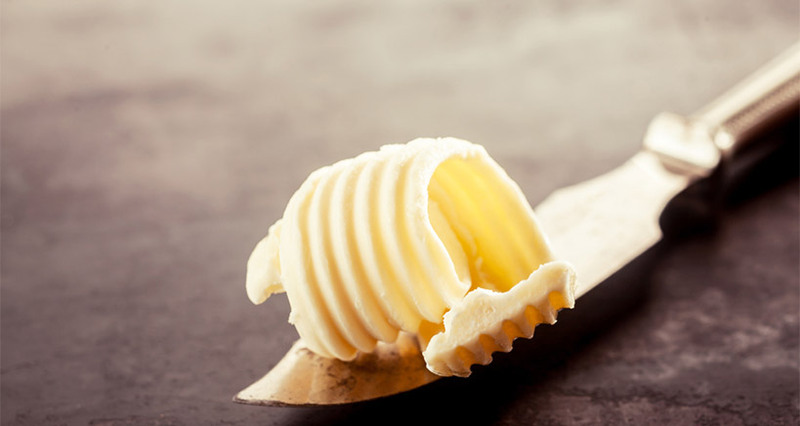 While European-style, super-premium butters comprise only about 1% of the entire market volume, sales are rising quickly, and the category is growing. Premium butters can be sold at ambient temperatures (for up to two weeks) alongside bread in the bakery departments of supermarkets; this is a boost to both sectors, as nothing is more basic than the symbiosis between bread and butter. Doing business under the brand name Chef Shamy Gourmet, DFS Gourmet Specialties, a family-run business out of Salt Lake City, produces high-quality, premium flavored butters, including garlic butter, honey butter, passion fruit butter, and vanilla bean butter. DFS also sells ready-to-use real butter cream frosting, a food-industry precedent in the United States. Plenty of other companies, such as Minerva Dairy of Minerva, Ohio; Slate Roof Creamery, of Drexel, PA; and Champignon North America, of Englewood Cliffs, N.J. are offering premium butter; and even Minneapolis-based Land O’Lakes, a long-time leader in the butter sector, has gone upscale with European-style offerings that are made with sweet cream, resulting in butter that is 82% milkfat. In the days of the pioneers, and maybe even when some of us were kids  , butter was made by hand in the most elementary of ways. By simply pouring heavy (or “whipping”) cream into a jar, and shaking, shaking, and shaking, the cream would become thick. More shaking, and it would become whipped cream, until suddenly and magically, after some more shaking, the cream would separate. There would be butter, and the semi-opaque milk called buttermilk. Drained and mixed with salt, it would become butter as we know it – creamy, flavorful, and rich. 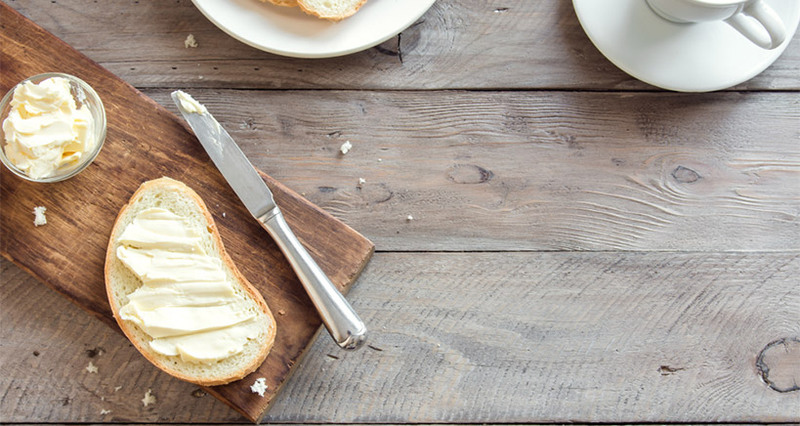 Fast forward to today and craft butter is becoming a major trend. But it’s no longer about simply shaking cream in mason jars; rather, it’s about infusing butter with flavors to create new and incredible combinations that no one even thought of a few years ago. At your next catered event, you can serve strawberry butter (to spread on pancakes, toast, and muffins); cinnamon vanilla honey butter, to slather on rolls; lemon butter, as a perfect accompaniment to your breakfast or brunch buffet; and garlic herb butter, to use with pasta and garlic toasts that will make your guests swoon with pleasure. 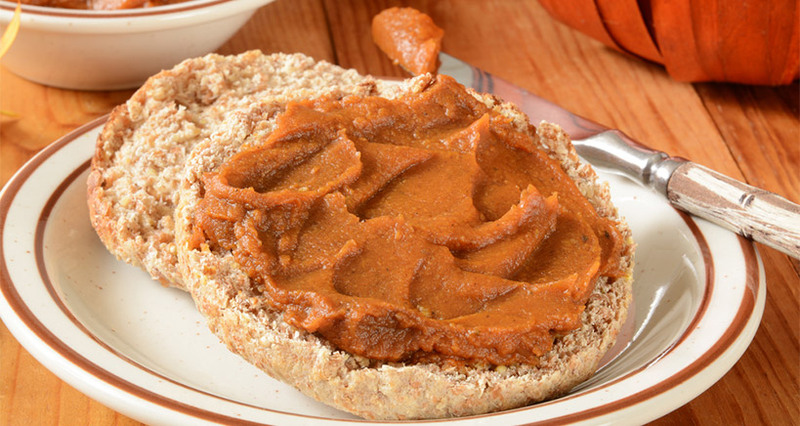 The Handle the Heat website, will help you whip up a batch of Whipped Cinnamon Pumpkin Butter that brings the premium butter trend straight into your kitchen. You don’t have to churn, shake, or make butter from scratch (though you can), but you’ll be giving your guests an original flavor that they’ll never forget. In a large bowl, use an electric mixer to beat the butter until light and fluffy. Add the cinnamon, nutmeg, pinch of salt and 1 tablespoon of the pumpkin puree. Beat until very well combined. Continue beating, gradually adding the remaining pumpkin puree, until completely incorporated. Add the honey and vanilla and beat until thick and fluffy, about 2 minutes. As artisanal butter-making catches on, there is also a rise in sales of butter churns, both the old-fashioned hand-cranked type and the new-fangled electric kind. 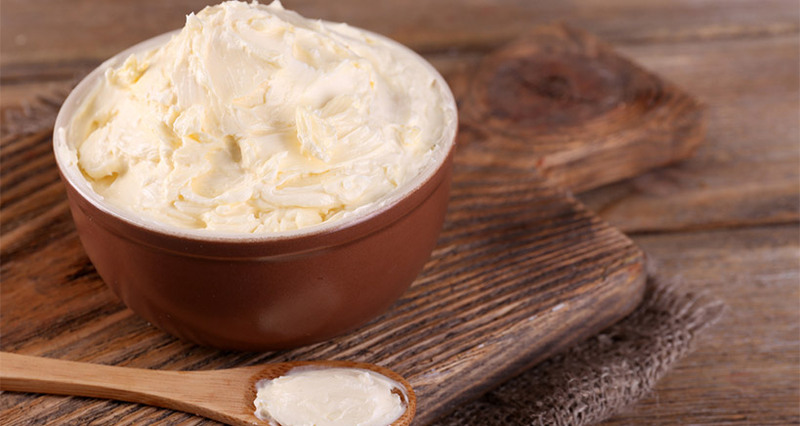 If you want to make your own butter from scratch, investing in a churn is the first step. While classic hand-crank butter churns are beautiful and nostalgic, you may prefer to use an electric butter churn to save time and energy. Lehman’s Dazey Butter Churn is a lovely, modern version of a hand-crank churn, which basically looks like a gallon-sized glass jar with a crank on top; while Milky Day sells an electric version that will cut down on the need for muscle power. In “How to Make Homemade Butter: Why Churning Your Own Is Worth the Effort,” Bon Appetit presents all the reasons – flavor, authenticity, fun, etc. – to make your own butter. Your guests will notice the difference, in the texture and the taste, even if you don’t add any flavors and choose to serve it up straight and simple. Pour cream into a food processor, blender, electric churn, or hand-cranked churn jar. Process, blend, churn, or crank until the butter separates. Strain off the liquid. Season to taste with salt if you like. Press butter into a small bowl with the back of a spoon to further remove liquid. Long before today’s butter craze, Julia Child loudly touted the dairy product’s wondrous and amazing attributes. She famously said, “With enough butter, anything is good,” and she loved butter even when most people in the United States were afraid of it. Now, times have changed, and we’re beginning to see what she saw: Real butter isn’t such a bad thing after all, particularly if enjoyed in moderation, along with everything else. So now is the time to sing butter’s praises and to appreciate it the way many people appreciate fine wine. Today, butter has never been more beautiful.